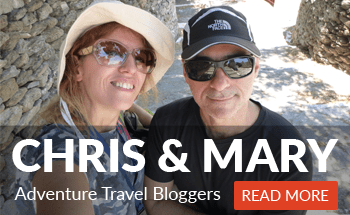 Nomad Travel Insurance: Protect yourself! Ancient Greeks were taking food very serious and especially the Mediterranean Nutrition. For example Hippocrates. He said: “Your Food is Your Medicine and Your Medicine is Your Food”. Hippocrates was a Master in the Art of Healing and Medicine. According to him here is a list of different foods and their benefits. Apples: Protect your heart and help with constipation. They stop diarrhea, improve kidney functionality, help with arthritis. Apricot: Fights cancer, regulates blood pressure, protects vision, protects from Alzheimer, slows down aging. Artichoke: Helps with digestion, decreases cholesterol, protects the heart, stabilizes blood sugar, protects from hepatitis. Avocado: Fights diabetes, decreases cholesterol, prevents heart attacks, regulates blood pressure, softens the skin. Banana: Protects the heart, softens cough, strengthens the bones, regulates blood pressure, stops diarrhea. Beans: Prevents constipation, stops hemorrhoids, reduce cholesterol, fight cancer, stabilize blood sugar. Beet root (cooked and especially raw): Regulate blood pressure, fight cancer, strengthen the bones, protect our heart, help to reduce weight. Berries: Fight cancer, protect the heart, stabilize blood sugar, enhance memory, prevent constipation. Broccoli: (cooked & raw) Strengthens bones, protects eyesight, combats cancer, protects your heart, controls the pressure. Cabbage: Combats cancer, prevents constipation, helps weight loss, protects your heart, helps hemorrhoids. Melons: Protect eyesight, regulate the pressure, decreases cholesterol, fights cancer, strengthens the immune system. Carrots: Protects eyesight, protects your heart, prevents constipation, helps fight cancer, help in weight loss. Cauliflower: Protects against prostate cancer, combats breast cancer, strengthens bones, eliminates bruises, protects against heart disease. Cherries: Protects your heart, fights cancer, cures insomnia, slows the aging, protects against Alzheimer’s disease. Chestnut: Helps in weight loss, protects the heart, reduces cholesterol, fights cancer, regulate the pressure. Hot Peppers (chili): Helps digestion, soothes sore throat, cure sinusitis, fights cancer, boost the immune. Figs: Helps in weight loss, helps prevent strokes, decreases cholesterol, fights cancer, regulate pressure. Flaxseed: Helps digestion, fights diabetes, protects your heart, improves mental health, strengthen our immune. Garlic: Reduces cholesterol, regulates pressure, combats cancer, kills bacteria, fights fungus. Grapefruit: Protects against heart attacks, helps in weight loss, helps prevent strokes, combats prostate cancer, lowers cholesterol and blood sugar. Grapes (black grapes and black raisin for anemia): Protects eyesight, combats kidney stones, fights cancer, improves blood circulation, protect the heart. Green Tea: Combats cancer, protects your heart, helps prevent strokes, helps in weight loss, kills bacteria. Honey: Heals wounds, aids digestion, protects against ulcers, increases energy, fights allergies. Lemon: Fights cancer, protects your heart, regulates blood pressure, smooths skin, cures scurvy. Limes: Fights cancer, protects your heart, regulates pressure, smooths skin cures scurvy. Mango: Combats cancer, boosts memory, regulates thyroid, aids digestion, protects against Alzheimer’s disease. Mushrooms: Regulates blood pressure, decreases cholesterol, kills bacteria, fights cancer, strengthens bones. Oats: Lowers cholesterol, combats cancer, combats diabetes, cures constipation, smooths skin. Olive Oil: Protects your heart, helps weight loss, combats cancer, combats diabetes, smooths skin. Onions: Reduce the risk of heart attacks, fights cancer, kills bacteria, lowers cholesterol, control fungi. Oranges: Strengthens the immune system, fights cancer, protects your heart. Peaches: Treats constipation, fights cancer, helps prevent strokes, helps digestion, helps with hemorrhoids. Nuts: Protects against heart diseases, help with weight loss, fights prostate cancer, lowers cholesterol, affect (create / exacerbate) digestive disorders. Pineapple: Strengthens bones, soothes colds, aids digestion, eliminates nodules, stops diarrhea. Plums: Slows aging, cures constipation, boosts memory, lowers cholesterol, protects against heart diseases. Rice: Protects your heart, combats diabetes, fights kidney stones, combats cancer, helps prevent strokes. Strawberries: Fights cancer, protects your heart, boosts memory, reduces stress. Sweet Potato: Protects eyesight, improves mood, combats cancer, strengthens bones. Tomato: Protects prostate, combats cancer, lowers cholesterol, protects your heart and eyes. Walnuts: Reduce cholesterol Fights cancer, boosts memory, improves mood, protects against heart diseases. Watermelon: Protects the prostate, helps in weight loss, lowers cholesterol, helps prevent strokes, regulates blood pressure. Seed Wheat: Fights colon prostate, cures constipation, lowers cholesterol, helps prevent strokes, improves digestion. Bran: Fights colon prostate, cures constipation, lowers cholesterol, helps prevent strokes, improves digestion. Molasses: Perfect for anemia, includes many metals like iron, has calcium, can be used instead of sugar. But that is not all. Extended information can be found regarding other foods that are parts of the Mediterranean Nutrition. Like Almonds. Inside a person exists the bitter and the salty, the sweet and the tart, the astringent and the one without taste. These ingredients when mixed and combined are not distinct or harm a person. But when one of these separates and stands alone then it produces damage. Bookmark this site and find out about the great things Greece has to offer. Mediterranean Nutrition is one of these. Experiences is the other. Moving To Greece as Expat? Read This! As you read the content of our blog you may encounter some affiliate links. These, along with advertisements, support us and they come to no expense for you.